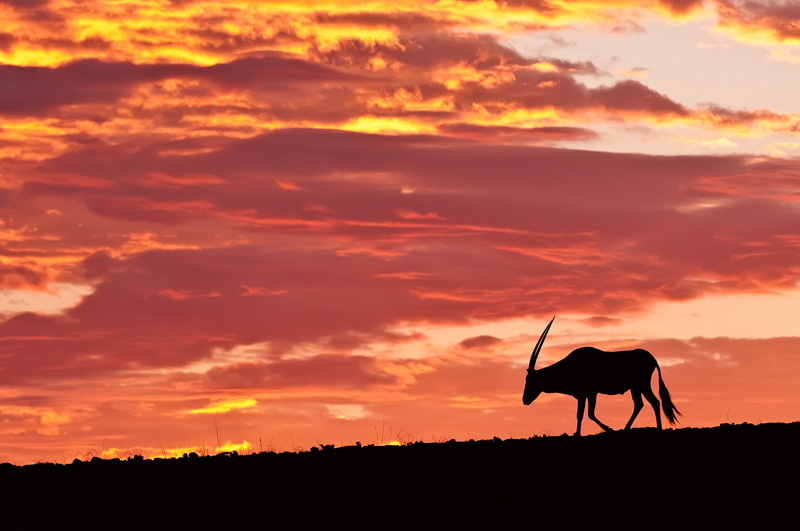 When I spotted this lone gemsbok (Oryx gazelle) on top of a hill, it was already close to sunset. The clouds were really interesting, so I decided to stay until sundown and see if I would get some nice colors. Just after the sun had disappeared below the horizon, the sky lit up with beautiful red and yellow clouds.